Healthy needn't be boring and that's exactly what sprouts define. Power-packed with nutrition, they are little plump seeds that add flavour and crunch to ordinary meals. 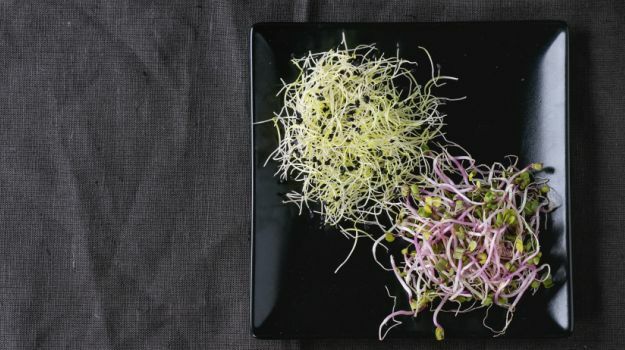 Toss it into salads, top up your burgers and sandwiches, serve it with meats, or have them straight up with a pinch of salt, sprouts are the perfect option for a quick meal. So what are they really? Sprouts are actually germinating seeds, which are in the process of transforming into a plant. It you try to recall your school days, you will remember biology projects where we were taught to place green peas in between layers of cotton soaked in water, only to discover little shoots growing from the seeds within a few days' time. 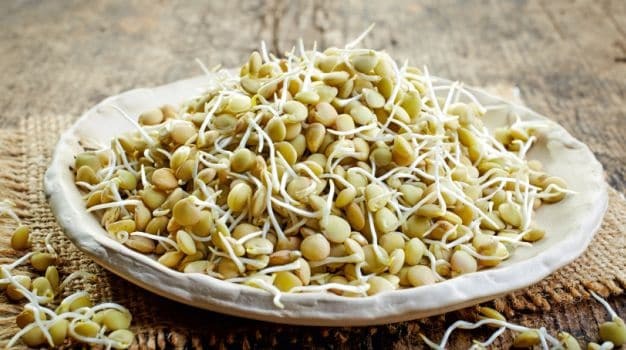 It is said that during the process of germination, the seeds are loaded with nutrients and hence sprouts are always encouraged to be included in the diet than seeds soaked in water for a few hours. Sprouts are actually germinating seeds, which are in the process of transforming into a plant. There are a number of grains which can be used for sprouting. But the most common ones include pulses such as alfa alfa, soybean, peas, moong dal, chickpeas, etc, as well as cereals and oilseeds. Microgreens are the older version of sprouts, which can be referred to as little leafy seedlings. While both are simple to grow at home, sprouts in particular are readily available in the supermarkets. 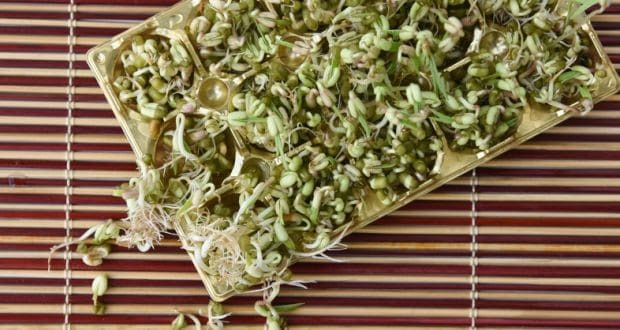 You will commonly find moong sprouts or horse gram sprouts on the shelves. Bring home a pack and toss them into salads or make a quick meal. You can also add in some masalas, herbs, veggies and even meat to treat yourself to a wholesome lunch. Bean sprouts, carrots, cucumbers and spring onion doused with fresh garlic dressing, this salad is not only power-packed with nutrition, but is a refreshing lunching option mid work. 11 Best Sprouts Recipes: A perfect post workout snack! You've heard about Vegetable or Chicken Jalfrezi. How about tweak it a bit and cook up a healthier version of this dish with moong sprouts? 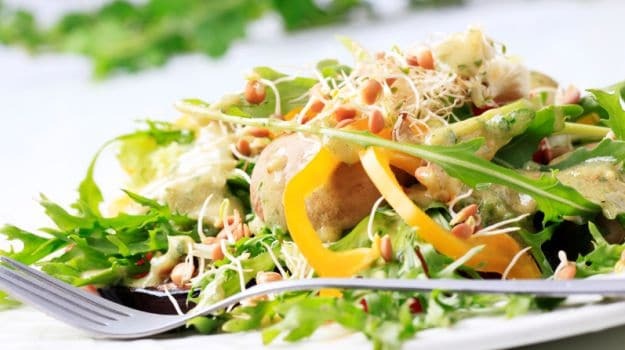 11 Best Sprouts Recipes:Give yourself a healthy kick with this interesting sprout salad. Vaal is cooked with coconut paste and masalas until it's soft and full of flavour. Serve with steamed rice for a light meal. 11 Best Sprouts Recipes: A healthy snack for all the fitness-conscious people out there. Balinese Jukut Urab is a mixed vegetable salad with beans, spinach, sprouts, and grated coconut dressed in sweet and sour flavours. 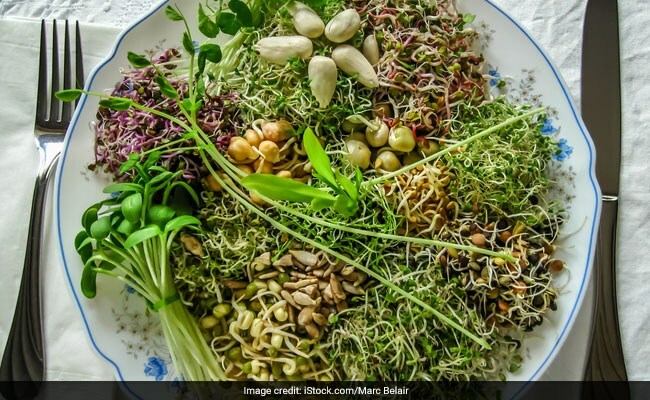 11 Best Sprouts Recipes: Treat your kids with this colouful sprout salad. It couldn't get easier and healthier than this. Sprouts and fruits come together to make a good-for-you salad. 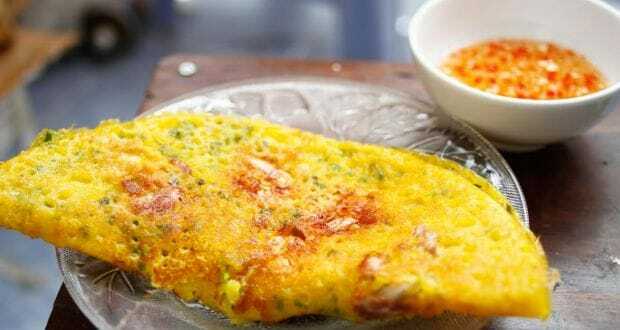 A fluffy omelette with vegetables, bean sprouts and crispy cashew nuts cut into thin strips. Placed inside crunchy and golden potato baskets. A hearty meal, perfect to gorge on a weekend. 11 Best Sprouts Recipes: A hearty meal, perfect to gorge on a weekend. A healthy snack of sprouted lentils and beans with lemon juice and spices. 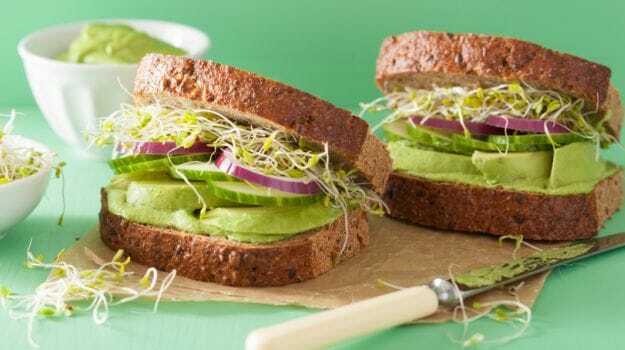 11 Best Sprouts Recipes: A healthy snack for gym and fitness lovers! The popular Indian street food gets a healthy spin with this recipe which uses sprouts. The added crunch and flavour make it a great snacking option. 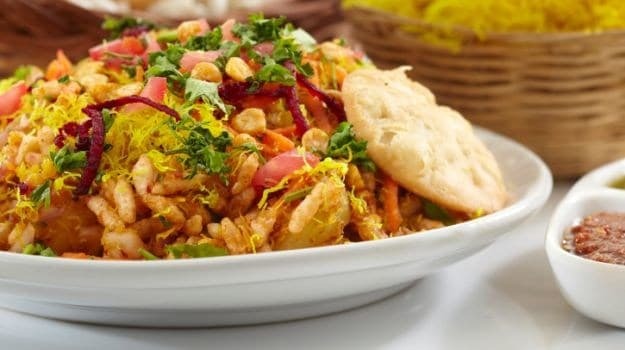 11 Best Sprouts Recipes: Tantalise your taste buds with this spicy, tangy sprouts bhel puri. In this recipe, the ancient grain pearl barley gets spiked with whisky and pairs beautifully with the flavour of smoked chicken. The warm salad combined with the crunch of sprouts, cucumber and pomegranate makes it a scrumptious treat. 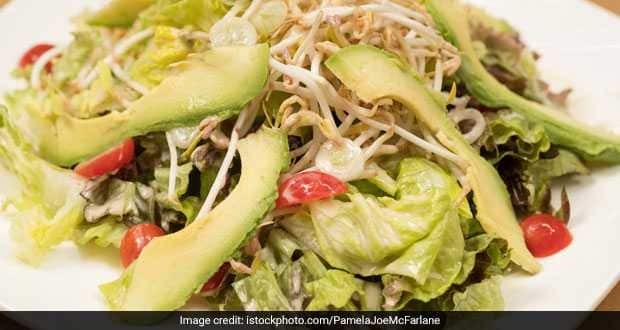 11 Best Sprouts Recipes: Eat this salad for your fill for protein and iron. Bahn Xeo are Vietnamese pancakes which are made with rice flour. Stuffed with shrimps, chicken and some bean sprouts these pancakes are a delight to eat. 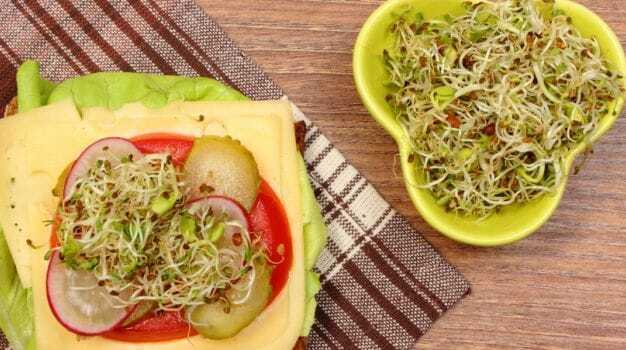 11 Best Sprouts Recipes: Impress your friends with this interesting yummy delight. Loaded with proteins, Vitamin K, dietary fiber, Vitamin C, and Folate, this recipe is a storehouse of nutrients. 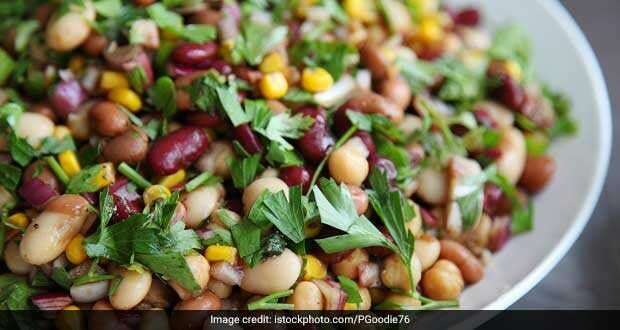 11 Best Sprouts Recipes: Craving for chaat? 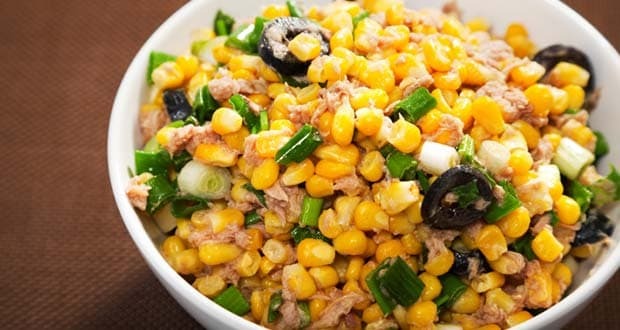 Try this healthy sprouts and corn chaat recipe.